WinterMoon is born in Almada (Portugal), in late Autumn of 2001. This band, brought to life by Nuno Correia and João Sousa, has as main purpose a blend of mildly aggressive metal based styles to a whole melodic and melancholic universe, given by the instrumental as well as by Cláudia Ferreira’s voice. In May of 2003, they record “WinterMoon”, their debut EP, with the goal of showing their music to some portuguese and foreign labels and distributors. In 2005, WinterMoon reaches the second place at Almada’s Modern Music Contest (Portugal), from a total of 25 registered bands. 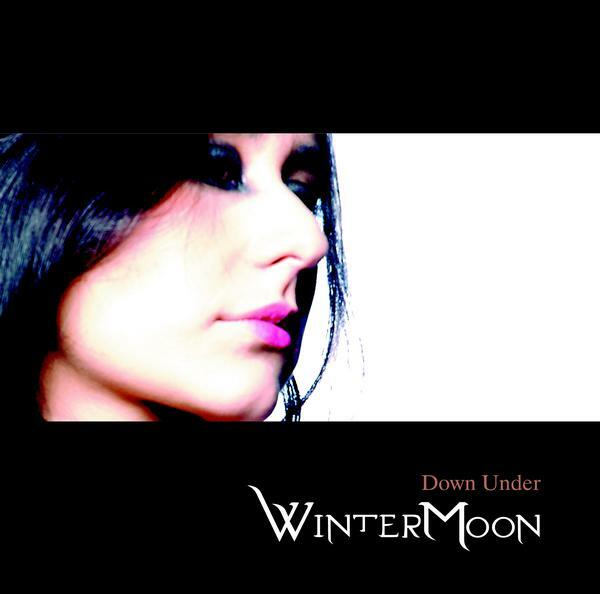 In 2007, WinterMoon records Down Under, their debut album, recorded at Tocá Rufar Estúdios (Portugal), engineered by Nuno Rebocho and Carlos Cruz and mixed and mastered by Miguel Fonseca, from Thormentor and Bizarra Locomotiva.